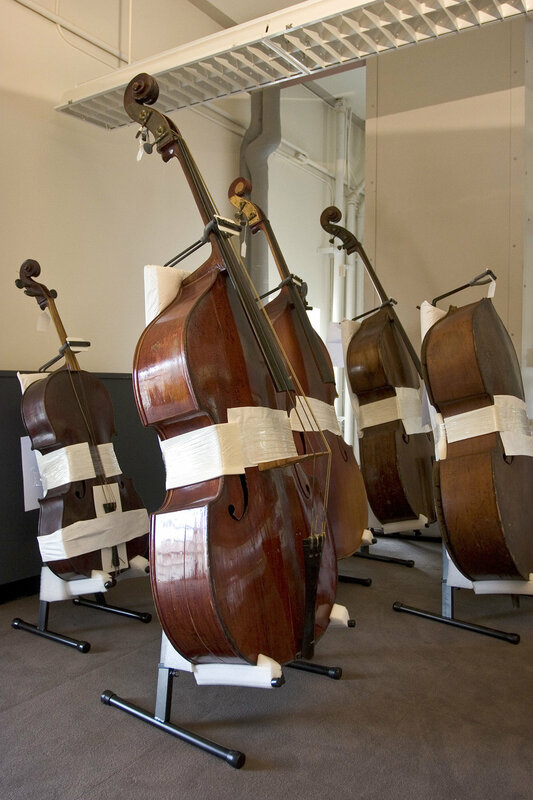 The New Orleans Jazz Museum's collection is the largest and most comprehensive of its kind in the world. 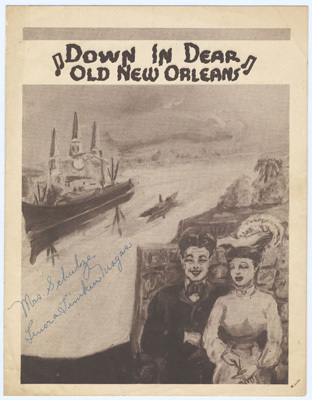 The Jazz Collection chronicles the music and careers of the men and women who created, enhanced and continue in the tradition of New Orleans jazz at the local, national and international levels. 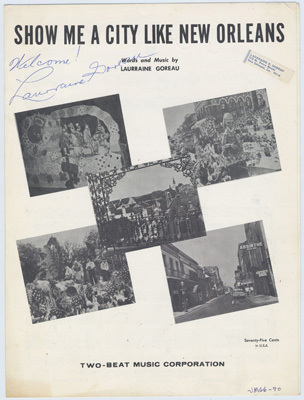 It consists of instruments, pictorial sheet music, photographs, records, tapes, manuscripts and other items ranging from Louis Armstrong’s first coronet to a 1917 disc of the first jazz recording ever made. 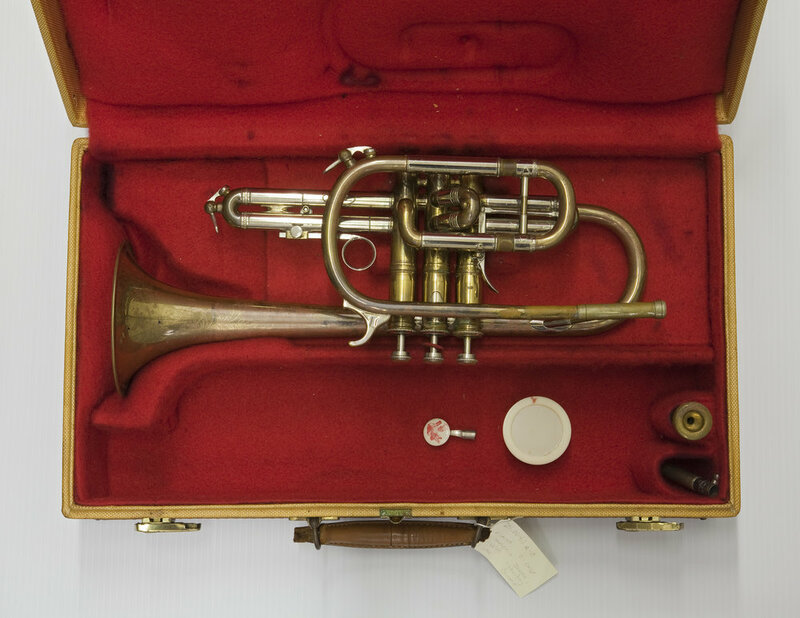 It includes the world’s largest collection of instruments owned and played by important figures in jazz- trumpets, cornets, trombones, clarinets and saxophones played by jazz greats such as Bix Beiderbecke, Edward “Kid” Ory, George Lewis, Sidney Bechet and Dizzy Gillespie. 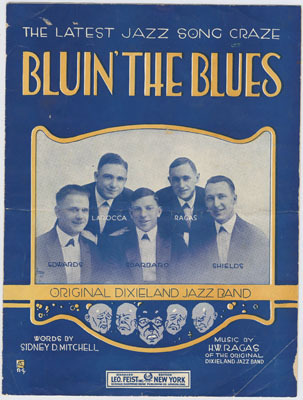 Other artifacts in the Jazz Collection include some 12,000 photographs from the early days of jazz; recordings in a wide variety of formats, including over 4,000 78 rpm records that date from 1905 to the mid-1950s, several thousand 12-inch LPs and 45 rpm records, approximately 1,400 reel-to-reel tapes; posters, paintings and prints; hundreds of examples of sheet music from late 19th-century ragtime to popular songs of the 1940s and 1950s – many of them first editions that became jazz standards; several hundred rolls of film featuring concert and nightclub footage, funerals, parades, and festivals; hundred of pieces of relevant ephemera; and architectural fragments from important jazz venues. 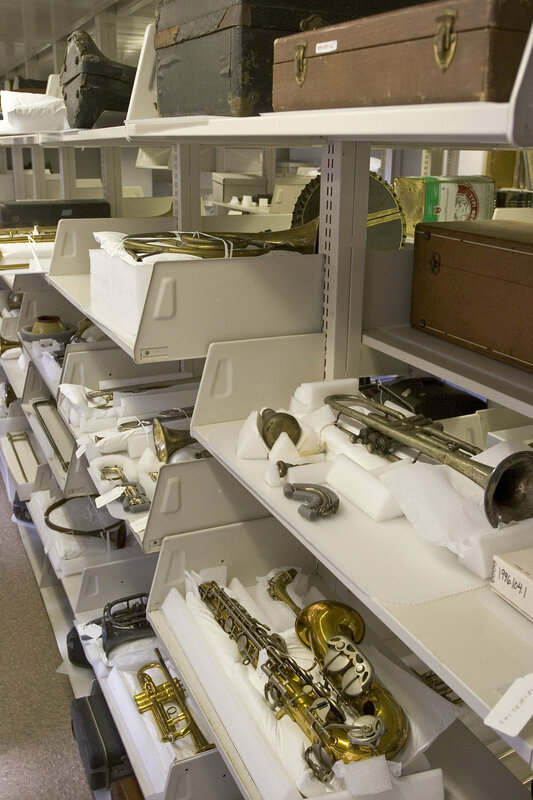 The Museum has the largest collection in the world of instruments owned and played by important figures in jazz, possessing multiple examples of all the commonly used instruments: trumpet, cornet, trombone, clarinet, and saxophone. 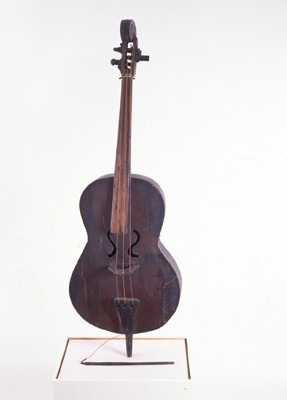 Some late 19th-century instruments date from the early days of jazz. The Jazz Collection has over time picked up many odds-and-ends pertaining to jazz, some of it clearly of value, some close to worthless. Much of this is not considered part of the collection proper, but is kept for reference, as study material, even possibly for future exhibit props. Much of it is ephemera, never intended to last. A jazz concert ticket, for example, has a useful lifespan of a few minutes, from the moment you buy it at the box office to the moment you hand it to the ticket taker. But fifty years later, when the performers have become legends, the stub of that ticket with the particulars printed on it can have remarkable evocative power. 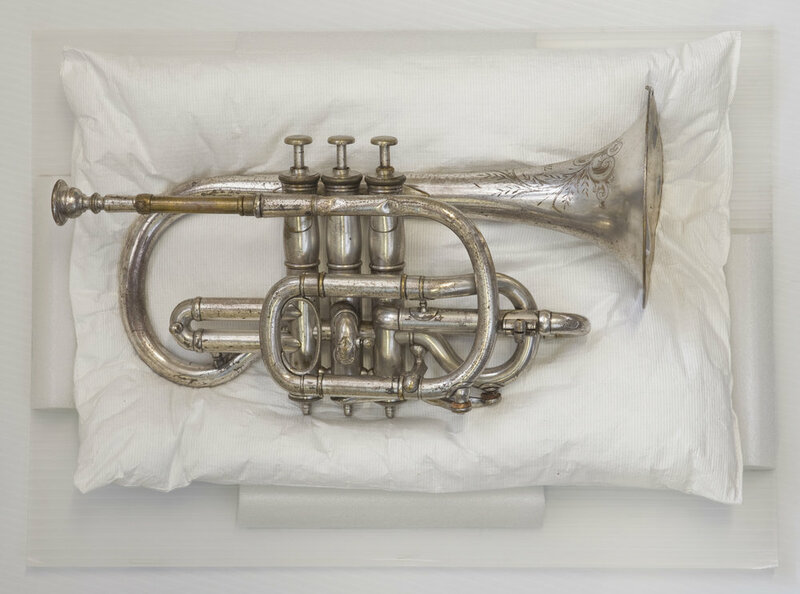 Louis Armstrong was taught to play this cornet when he was a resident of the Municipal Waif’s Home for Boys, 1913-14, where he was sent after shooting off a pistol on New Year’s Eve. Without the encouragement of the staff, and the self-discipline and musical education he acquired there, the most important individual career in the history of jazz possibly never would have happened. The objects are not only historically important, but visually distinctive. The cornet has notches in the non-detachable mouthpiece cut by the young Armstrong, in an attempt to aid his embouchure. The Jazz Collection has close to 10,000 recordings in virtually every format ever used, from piano rolls to digital tape. 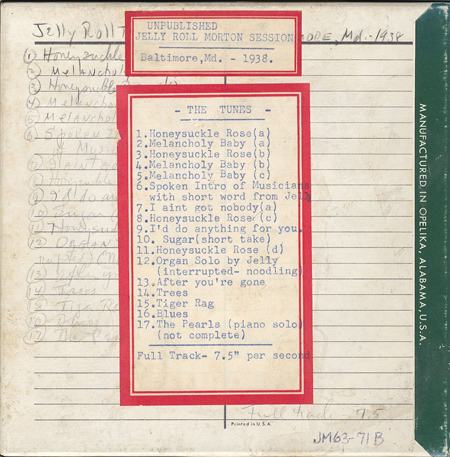 Recordings were vitally important to the development of jazz, as they enabled it to find a widespread audience. The collection has about 4,000 78 rpm records ranging in condition from superb to broken and dating from about 1905 to the mid-1950s, when they stopped being made; several thousand 12-inch 33-1/3 rpm LP records; and hundreds of 10-inch LPs and 45 rpm records. Most of these are New Orleans traditional jazz. 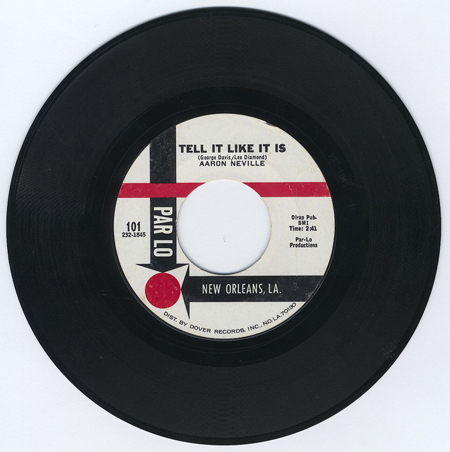 Reel-to-reel tapes, which number to about 1,400, fall into three groups: New Orleans Jazz Club radio programs, taped interviews, and music. 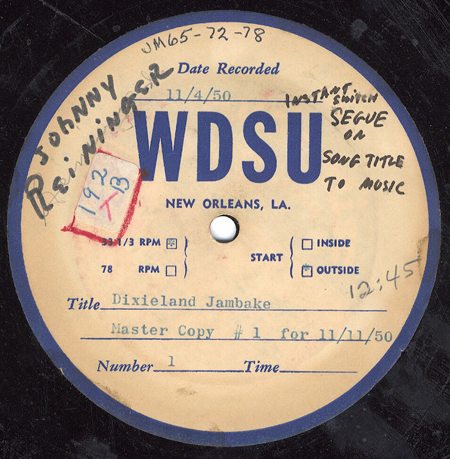 The latter, typically tapes of concerts or private jam sessions, are New Orleans traditional. 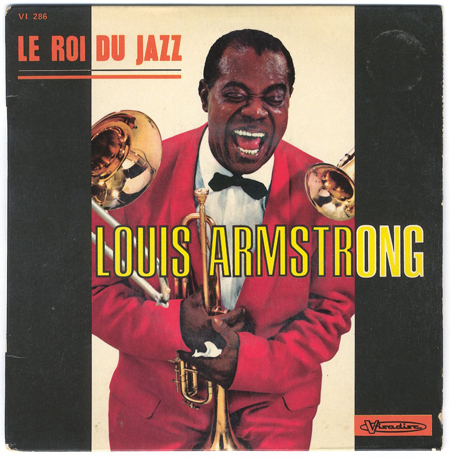 Visit our collections pages on Louis Digital Library for online jazz audio.